Improved Oil Recovery (IOR) chemicals and services delivered by Panorama Oil & Gas Sdn Bhd can maximize recovery by using high quality materials and patented technologies with excellent track records and years of field experience. SuperFluid Series Nano emulsion formulations of non-hydrocarbon solvent, IFT reducing surfactants, demulsifying surfactant and water wetting agent. 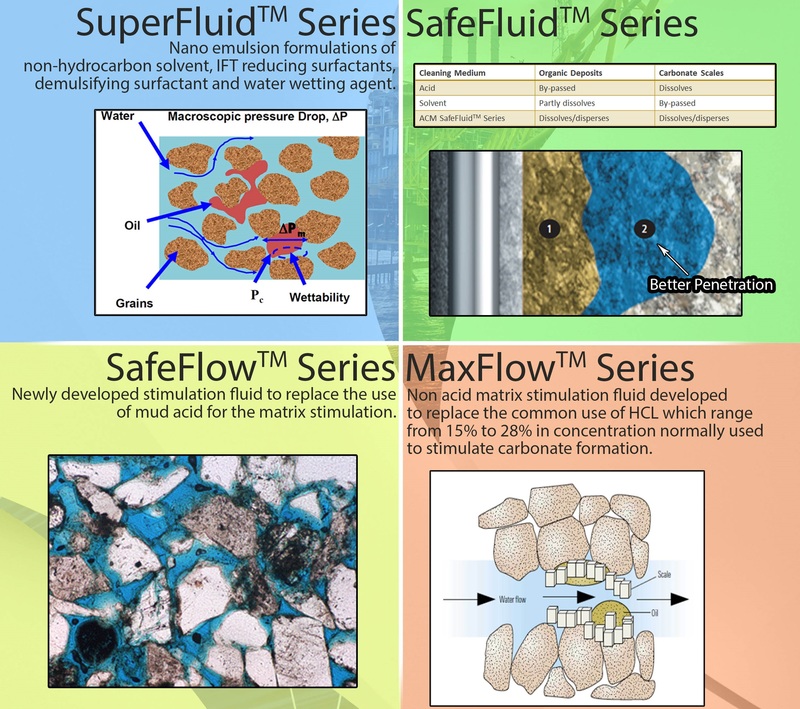 SafeFlow Series Newly developed stimulation fluid to replace the use of mud acid for the matrix stimulation. MaxFlow Series Non acid matrix stimulaton fluid developed to replace the common use of HCL which range from 15% to 28% in concentration normally used to stimulate carbonate formation.